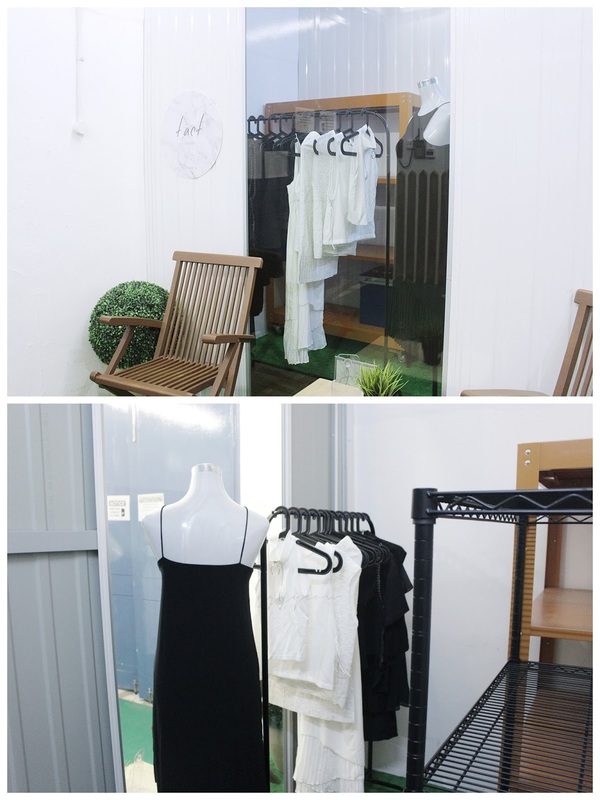 One of the biggest problems I face from the very start of setting up TACT Singapore (my fashion label) was the fact that I do not own an office space of my own to store my incoming stocks. Just as I was starting out, I don't see the need to have an office space as I wanted to save on costs and expenses. To help curb with this ongoing problem, I was lucky enough to be introduced to EBC Self Storage, part of EBC Lifestyle Hub! 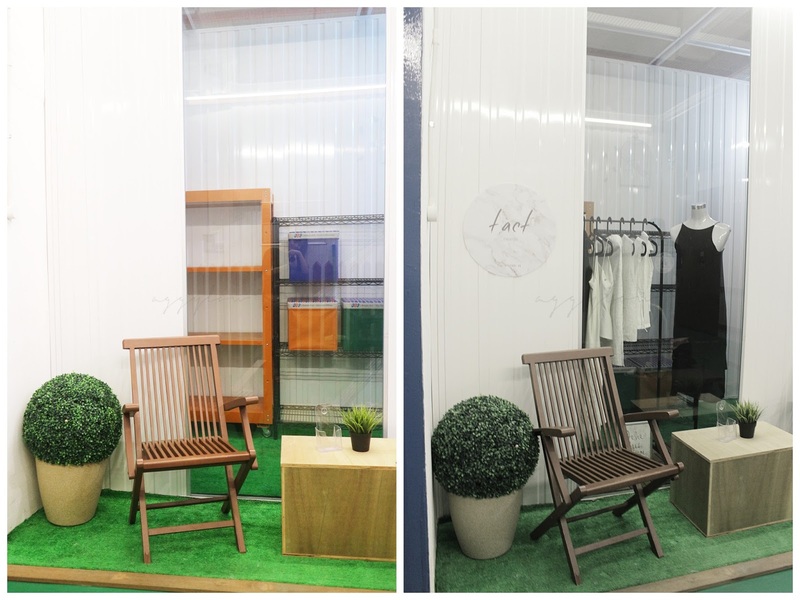 Started as a provider of warehousing services, EBC Lifestyle Hub have since evolved to providing self storage spaces for personal/business use, serviced offices for entrepreneurs/budding start-ups as well as FnB services for their customers and the public. 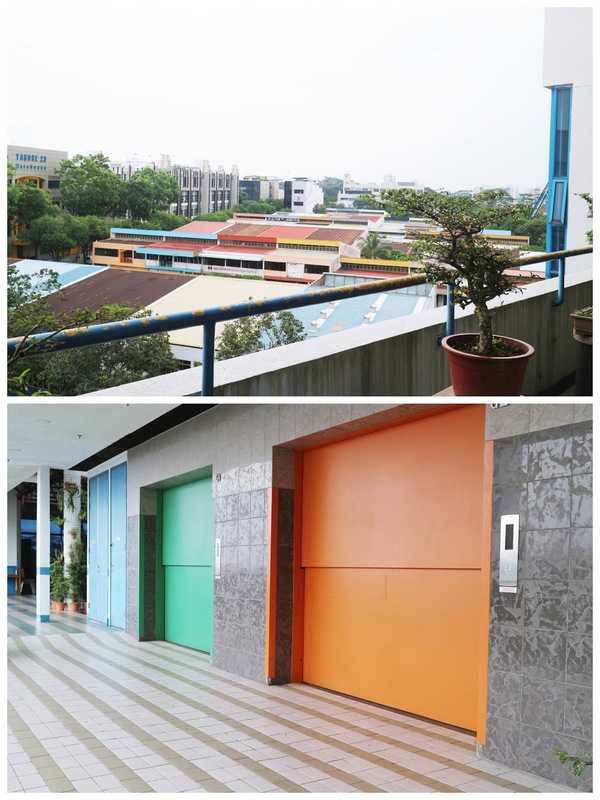 Located at 50 Tagore Lane, #05-04, Entrepreneur Centre, Singapore 787494, EBC Self Storage is one out of the many other facilities offered at the EBC Lifestyle Hub. Shuttle bus services are provided to and fro AMK MRT in the mornings/evenings. With quality customer care, reasonable prices and well-maintained facilities, I am really excited to share my journey as a young entrepreneur/storage owner with EBC Self Storage! One of the things that I really like about EBC Self Storage is the amount of thought they put into the facilities for their customers/storage owners. 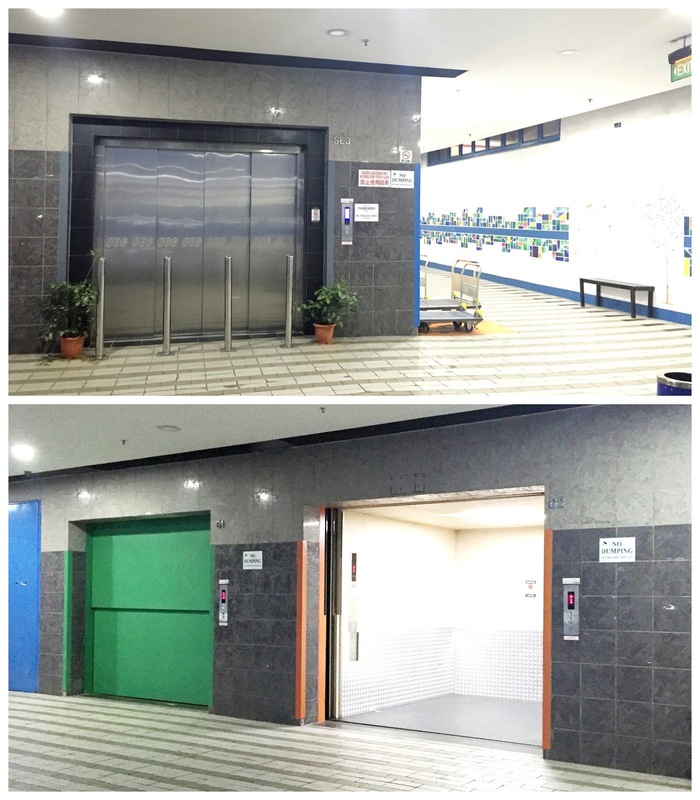 They have huge cargo lifts (the ones in green and orange) to help storage owners transport their goods up and down the different levels, as well as trolleys provided at the trolley bay that is free for use for all storage owners. Really appreciate this as sometimes I might not be dressed appropriately enough to handle the heavier stuffs so I'm really glad to have access to the trolleys anytime of the day to transport my goods from the car to my storage unit! 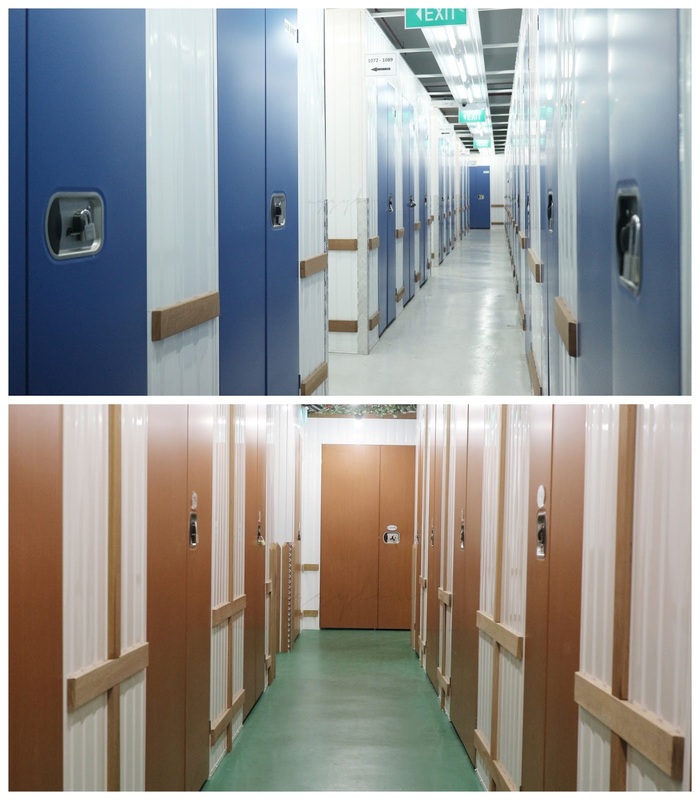 I was told that EBC Self Storage offers different kinds of storage systems which includes standard, air-conditioned, wine storage and unique items storage. EBC Self Storage is self serviced and storage owners have 24/7 access to their storage units. We have a special passcode to unlock the doors to access our units and it is much more flexible for storage owners to head down for self storage, especially those that are juggling between their businesses and day-jobs . 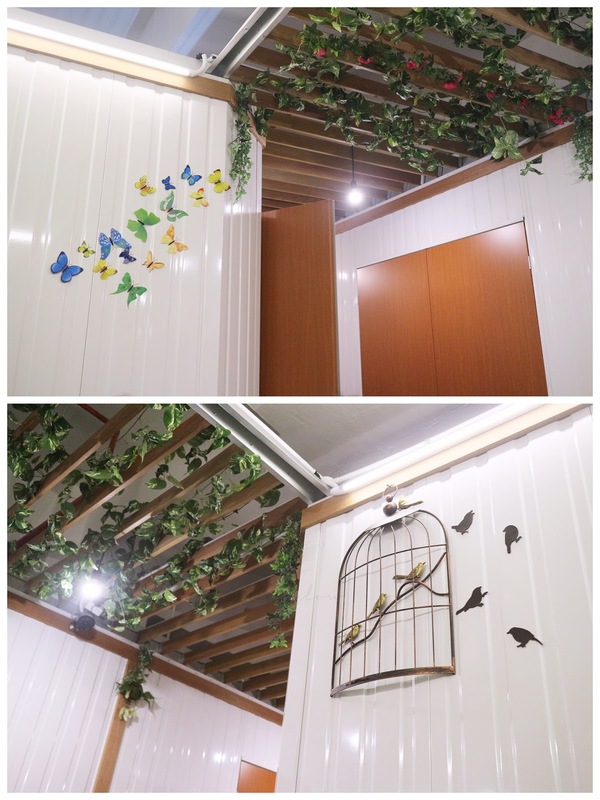 If you realise, there's quite a lot of green and brown colour involved, simply because this storage facility is Garden Themed! Every unit will be individually locked for security purposes and only storage owners will have access to their own respective units. The storage space that I'm provided with is really spacious, no kidding! By the end of my 2nd visit at EBC Self Storage! My 3rd visit to EBC Self Storage was the most fulfilling one. I managed to sort out all the new arrivals according to their types and colours. When I meant by the storage space is spacious, I MEAN IT! 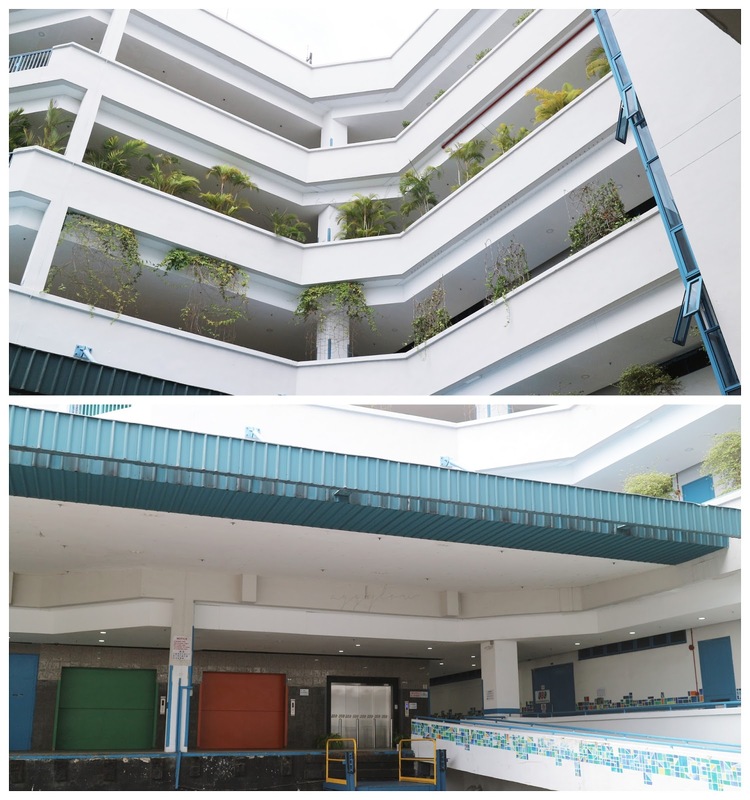 The final outcome of TACT.sg's storage unit at EBC Self Storage! 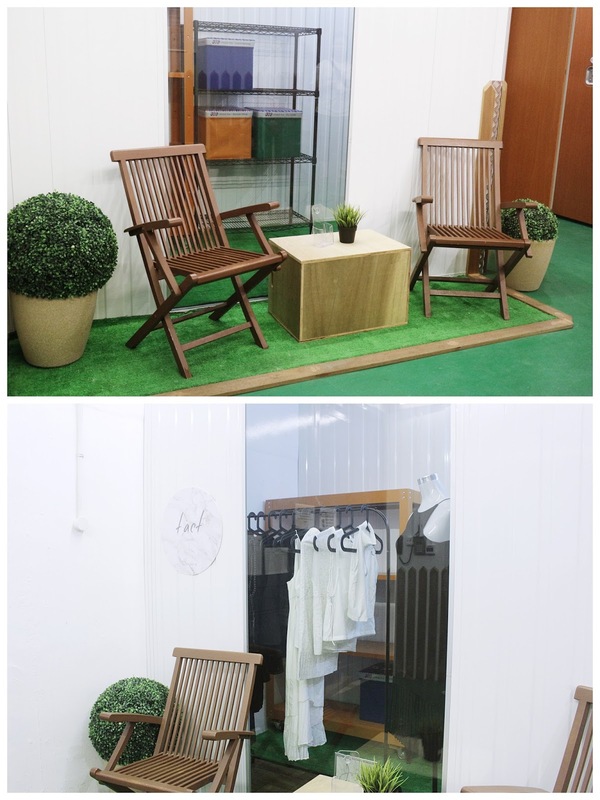 Seeing my clothes on display at this beautiful facility gives me such a sense of accomplishment. After I was done, I honestly felt quite tired. It's nice to know there's this adorable little space just right outside my storage unit for me to chill and check some emails while I rest my arms/feet. 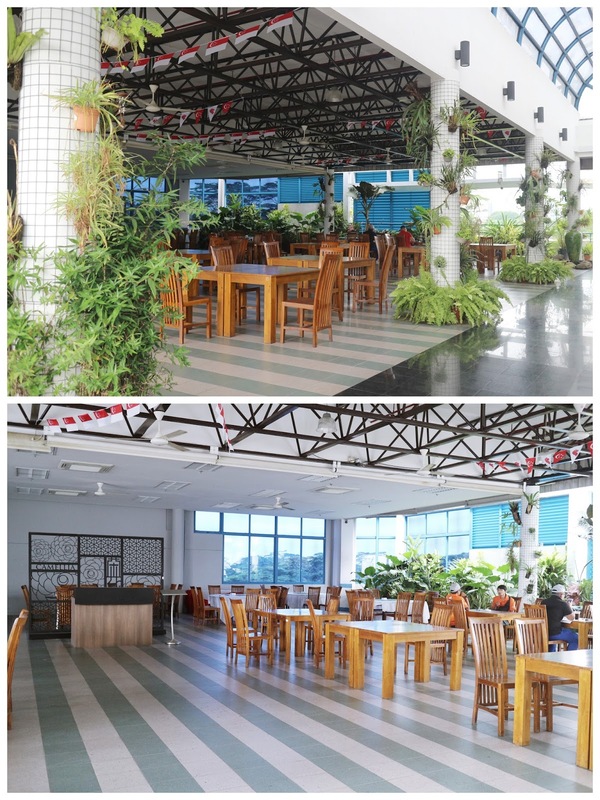 Whether it is for informal or formal meetings with clients, EBC Lifestyle Hub has a beautiful Sky Garden and Club House perfect for the occasion. If needed, they also offer catering, private dining and venue rental of space for personal and business use. 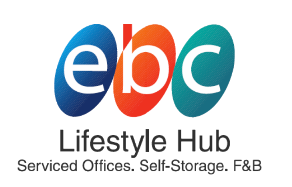 With a clubhouse in the facility, EBC Self Storage is currently the one and only one stop convenience hub where storage owners are free to use to host their clients/customers and also a cosy space with free wifi and powerpoint for storage owners to work at. EBC is also thoughtful enough to include a printer at the clubhouse as well as a massage chair - all for free to use for the storage owners! Not only that I can come here for a nice coffee while at work on my laptop, I can also print anything I need on the spot with the printer provided at the Clubhouse at a small fee - how useful! The types of packages EBC Self Storage offers range from 3, 6 and 12 months to personal storage and longer tenure for business storage. 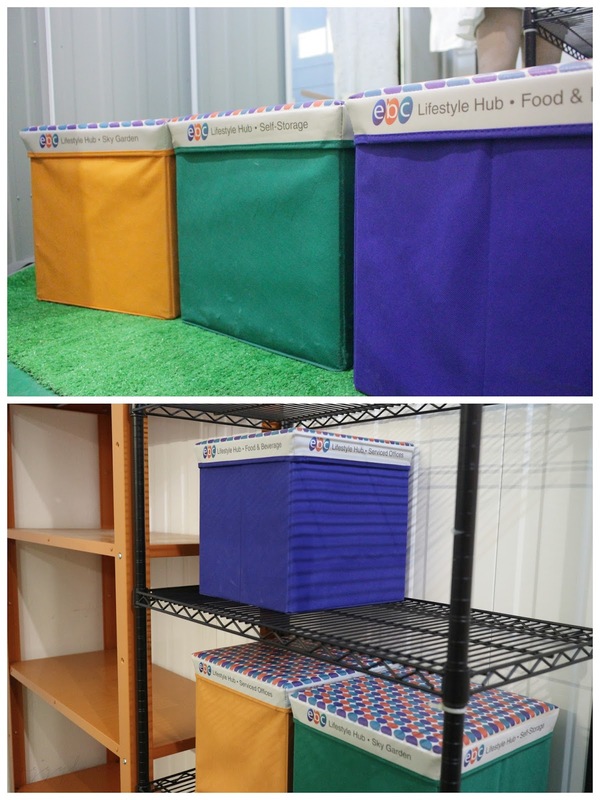 They also has shelving options available which can be arranged if needed! A place to go for self-serviced storage, I highly recommend EBC Self Storage those with personal/business storage needs, and especially for new e-commerce businesses in order to save on your own space and expenses. For more information, do head to : EBC Self Storage's website to find out more!